According to a recent Money Magazine article, Dunedin, Florida, ranks high on the list of smart places to escape for waterfront retirement. Not only is this city beautiful, offering the best of Florida luxury, but its real estate prices are very affordable. Among Dunedin’s many features is its location, ideally situated in the Tampa Bay area, with easy access to Tampa, Clearwater, Saint Petersburg and Florida’s gorgeous Gulf coast. 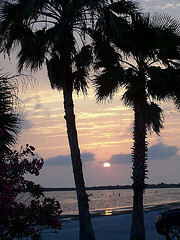 Even within the city, nationally recognized beaches stretch for miles! In fact, Caladesi Island has been named the country’s best beach, outshining shores in Hawaii, California and the Carolinas! Running right through downtown, the scenic Pinellas Trail offers a wonderful place for walking, jogging, biking or rollerblading. The trail will lead you directly to Honeymoon Island’s sun-drenched beaches, swamps and wildlife.